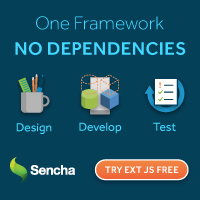 Enter an npm module name and this tool renders an interactive dependency tree in your browser. You now get fully cross-platform package-lock.json files (failing dependencies on one OS don’t remove it from the dependency tree), Node 9 support is fixed, and a lot more, naturally. An intriguing look at a new package manager built for the StackBlitz online code editor that claims to be 5x faster than npm and works entirely in-browser. Aims to be “an easily embeddable and beautiful command line interface” for Node. All versions of 4.x, 6.x, 8.x and 9.x are vulnerable to an issue to be fixed in a new version of OpenSSL being released today. The latest in a series looking at how prominent community members got involved with Node. Others include Rachel White and Matteo Collina, plus Myles Borins and Michael Dawson. This brings dynamic module import, Promise.prototype.finally, and async iterator/generator support to Node. A hands-on tutorial about building GraphQL API with Express, using React on the client side. Wallaby catches errors in your tests and displays the results of expressions right in your editor as you type. Supports Node, Electron and the browser.